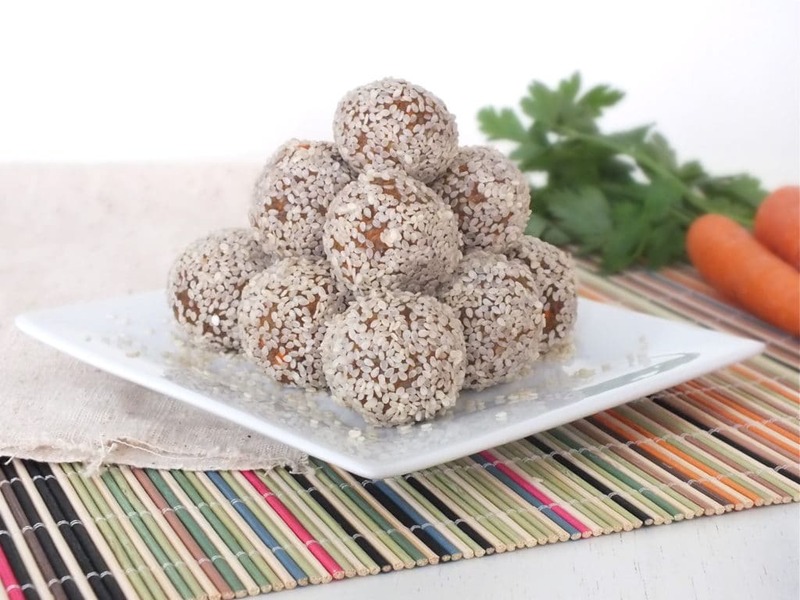 These nutritious bites only take about 15 minutes to whip up and you’ll have plenty to snack on for the next few days after making them. Whether you pack them in a lunch, fuel up with them before a workout, or late-night snack on them, they’re the perfect healthy treat. 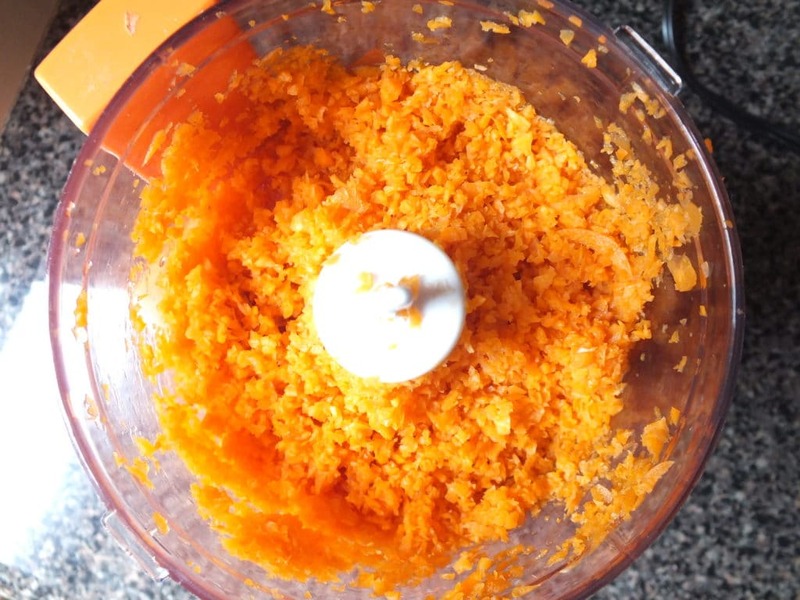 Roughly chop carrots and toss them into the food processor. Pulse until the mixture resembles a pulp. Empty the processor and set the carrot aside. You’ll need ¾ cup total of post-processed carrots for the recipe. 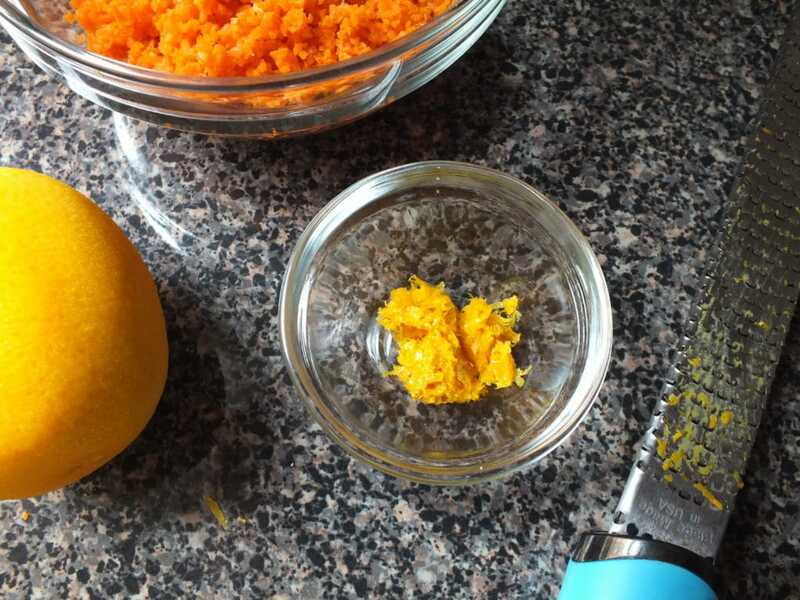 Using a microplane or grater, grate the fresh ginger root then zest one and a half oranges and set aside with the carrot. Next, add the walnuts and cashews to the food processor. Pulse until they are finely ground. Set aside. 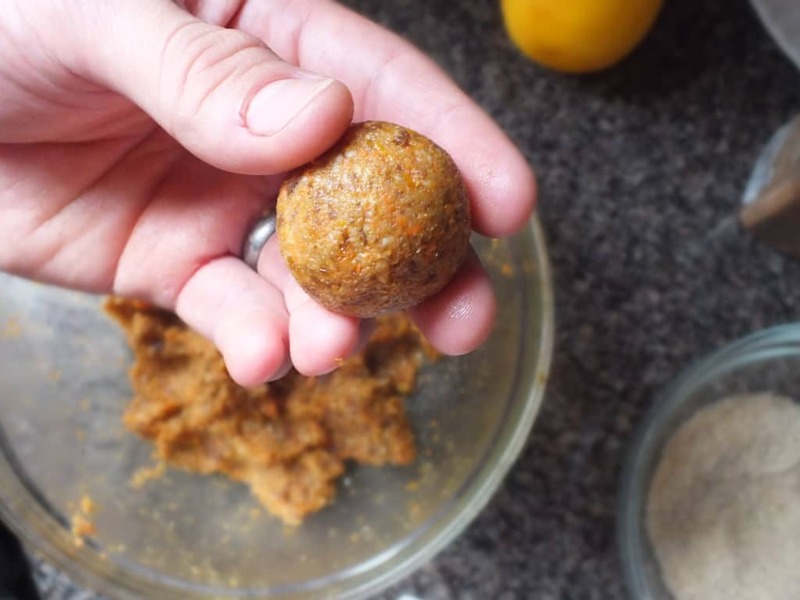 Add dried apricots to the food processor and pulse until a sticky paste starts to form. In a medium bowl, combine carrot, apricot paste, walnuts, cashews, orange zest, ginger, and cinnamon then use your hands to combine it well. 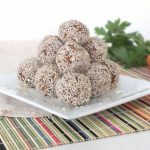 The next step is easier with two sets of hands – one person rolls the mixture into balls and one rolls the balls in sesame seeds. It’s totally doable as a one-man show, but you’ll find out just how sticky sesame seeds can be. Regardless, fill a bowl with about 4 tablespoons of sesame seeds and set a glass container to store the balls after you finish. 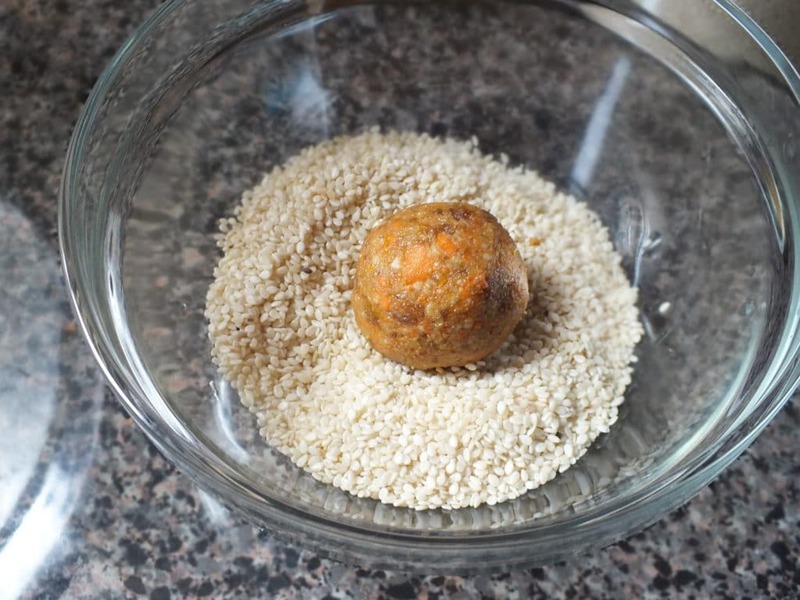 Roll the mixture into small balls [a little smaller than a golf ball] and plop them into the bowl of seeds to coat on all sides. As you finish each one, set it aside in the container [or on a plate if you’re eating/serving them right away]. Store in the refrigerator – these stay good for a week or more! As you finish each one, set it aside in the container [or on a plate if you’re eating/serving them right away]. Store in the refrigerator – these stay good for a week or more! What a great recipe! This took me less than thirty min and it tasted great! I didn’t have all of the ingredients, so I substituted the apricot with dried figs and Peanut butter instead of cashews, which helped bind the cake balls nicely. Also I ended up rolling the balls in raw hemp seeds. This is really easy to make with the items you already have in your fridge. Thanks so much! So what happened to the rest of the ingredients? Oops, thank you for catching that. A simple error of omission. Take another look now, everything should be in order ;). Sometimes we are up late getting posts ready and things sneak past us!